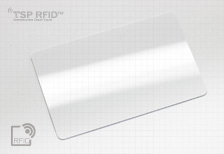 RFID 125KHz, 13.56MHz lamianted RFID ISO Cards. Antenna line covers from the winding/ embeding/ etching on option. Current hole option are round dia 3mm, 5mm, 8mm, 10mm, oval 3x8mm. 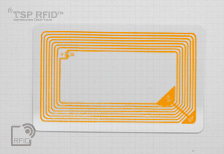 The etching antenna ISO card is using our etching inlay for lamination, it is great in RFID performance conformity. Also this FLIP etching technology makes the whole card surface flat even over the wafer position, Ideal for customer single card printing. 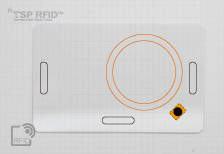 The customized frequency, and antenna OEM/ODM design is welcome. Standard oval antenna prelam is alwasy in stock ready for fast final card lamination. 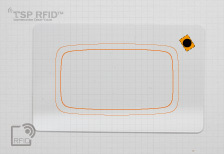 To use the standard antenna we will able to support with the best delivery time. 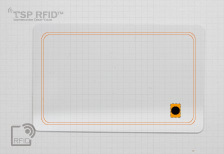 The customized frequency, and the antenna OEM/ODM design is welcome. Special Rectangular antenna layout for LF125KHz card require full reading area on whole card. Especially fit for hotel keycard/ Card require long reading range. Standard Round antenna prelam is always in stock, ready to produce the finnal card. 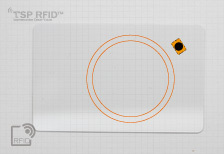 To use the standard round antenna we will support the best delivery time. The prelam stock is 125KHz, please contact sales if need 134.2KHz or customized. The ISO card lamianted is ok for any of these IC, please contact our sales for more info. For the card order with our standard antenna perlam stock we will support the fastest delivery time. The current special antenna it would take 3days for perlam production first. Each Carton weight at 12.5KGs. A guide for prepare suitable printing artwork.